Here are the complete details on the iOS 12.0.1 release. 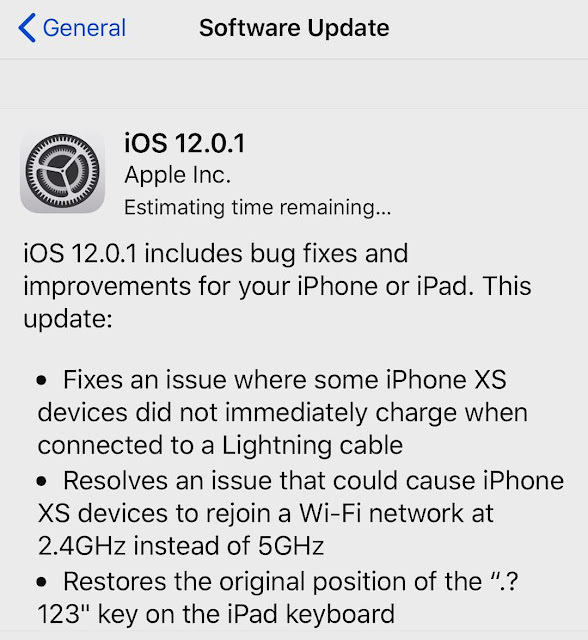 Apple released iOS 12.0.1 - the first official update of the iOS 12 system. The update came out three weeks after the release of iOS 12. 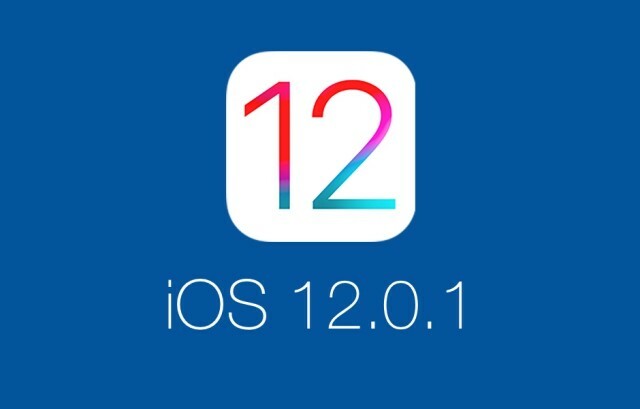 You can now download iOS 12.0.1 IPSW Links and OTA update for your iOS 12 supported devices including iPhone and iPad device. In the new version there are no noticeable changes. Instead, the Apple fixed some problems that we saw after the release of iOS 12. We know that in addition to the owners of the iPhone XS and iPhone XS Max, other owners of the iPhone and iPad on iOS 12 complained about the charging error. Surprisingly, Apple did not admit that it was a problem for other devices. - The company fixed a bug due to which some iPhone XS did not immediately start charging after connecting the Lightning cable. - Apple strained the problem when the iPhone XS could connect to a Wi-Fi network at 2.4 GHz instead of 5 GHz. - In the new OS, the company restored the initial position of the “.? 123” key on the iPad keyboard. - Apple fixed a mistake due to which in some video programs subtitles could not appear. - The developers have fixed the problem in which Bluetooth could become unavailable.